Search engine optimization (SEO) is the process of updating your site structure and your content in order to best fit into the secret Google algorithm. The most important way SEO can help your nonprofit website is to help you connect your organization with potential supporters, both local and remote. When your website has strong SEO, your potential supporters search for a phrase and Google connects them to the page on your site that matches that phrase. For example, a mother might search “where to donate diapers in Chicago” and find your in-kind donation page, along with information about other ways she can support your organization. Or, a young person might search “what skills can I add to my resume as a volunteer” and find your “volunteer skills” page, along with information about how she can volunteer in her local community. SEO can also help you connect your organization to existing supporters. On December 31st, for example, I noticed that a significant portion of my clients’ website visitors were finding nonprofit websites via a Google search. Even though you, as a communications or fundraising professional, were sending emails and posting on social media, your donor was still using Google to find your site and make her donation! SEO won’t replace original, high quality content. If you don’t have the goods, you can’t fool Google. In the examples listed above, your site needs original, high quality content about “donating diapers” and “volunteer skills” in order for a potential supporters to find you via a Google search. SEO won’t close the deal on the search results page. SEO just gets you invited to the search results page. As a communications or fundraising professional, you still need to write compelling copy that encourages potential visitors to click over to your nonprofit’s website. SEO won’t help your website rank for broad, highly competitive terms. My examples were in the form of specific questions for a reason. 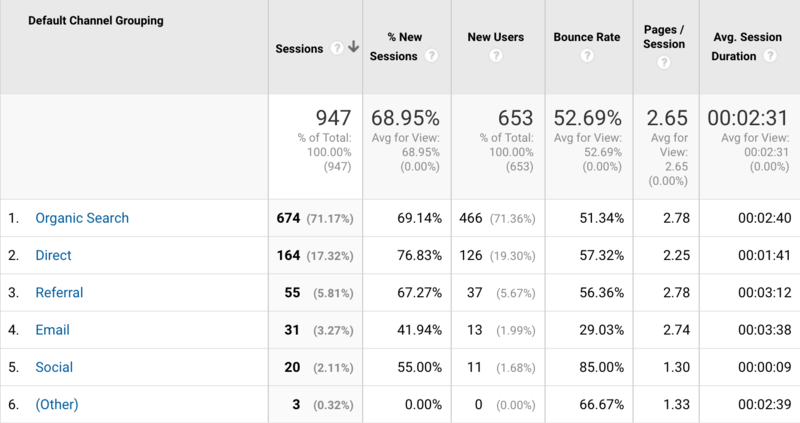 First, most search engine users frame their search as a question. “How can I” or “Where do I” are common ways to start a search query. Second, most search engine users use several specific terms in their searches. This is good news for nonprofits, as it makes our job a little easier. The competition for simple one-word searches is serious… and expensive. This means that if your executive director wants your site to come up as a top search result for “donation” or “charity”, you’re going to need to send her the URL to this article so she can brush up on how SEO works! 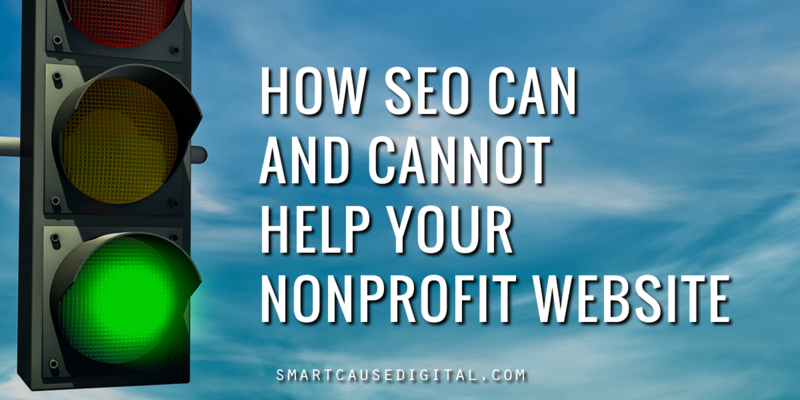 Want to learn more about how to implement SEO for your nonprofit website? Was this resource helpful to you?